Temperature Resistant: Unaffected by hot and cold temperatures. The product that started it all. Original Gorilla Glue built a name for itself with its incredible, industrial holding power and versatility. The water activated polyurethane formula expands into materials to form an incredibly strong bond to virtually anything. Gorilla Glue is a 100% waterproof glue, safe for indoor and outdoor use and strong enough to stand up to the elements. 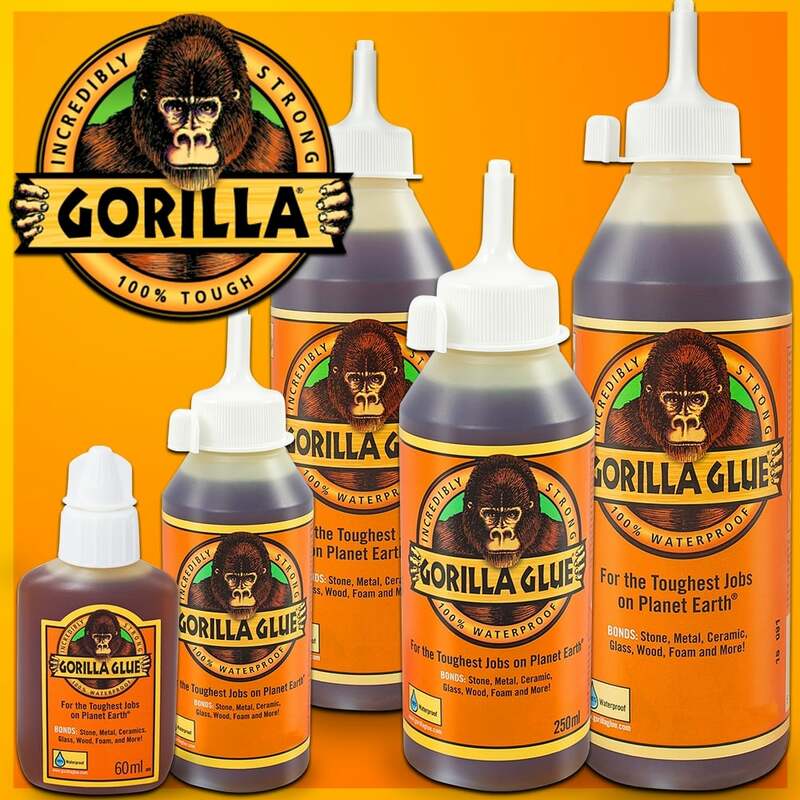 Gorilla Glues your solution for almost any project or repair. Sand it, paint it, stain it. Simply stated, its the Toughest Glue on Planet Earth.